Cebu City – The start of 2017 is celebrated with festivals left and right–from the Feast of the Black Nazarene in Manila, to the Sinulog Festival in Cebu, and to the Dinagyang in Iloilo, to name a few. Almost every province and city in the Philippines has all kind of fiestas celebrated all year round that shows the rich culture of the country. This practice has been embedded in the Filipino tradition and believed to have started even before the coming of the Spaniards. There are different types of festivals, namely, religious, national, or seasonal. A considerable number of festivals celebrated in the country are of religious origin, honoring the city or province’s patron saint. A mass, novenas, grand parade, beauty pageants, processions, and many other activities are prepared for this special day that brings all the whole community together to express gratitude to God. Often, such occasions draw many balikbayans to return home and reminisce the olden times. Before the coming of the Spaniards, Filipinos practiced animism, or the worship of spirits, which involved performing ceremonies intended to appease malevolent spirits. These spirits are believed to control parts of human life, such as health, wealth, family, and subsistence. To ward off misfortunes and gratify these spirits, ritual offerings are regularly made by the locals. Catholic missionaries who arrived along with the Spaniards created fiestas to gradually persuade the population to convert to the Roman Catholic faith. Today, the Philippines is the only predominantly Christian country in all of Asia. The practices taught by the Spanish clergy have merged well with indigenous ritual practices and carried over to this day. Philippine festivals are celebrations to express gratitude for a good harvest in honor of the town’s patron saint. Filipinos, especially those living in provincial areas, go all out to celebrate this festivities to guarantee comfort in the coming year, believing that the bigger they spend, the more returns they will obtain. For many Filipinos, fiestas are important because of the miraculous power of the saints. It is believed that the saints are responsible for all the good fortune and favor one receives. More than that, it is also during this time that the locals get to celebrate their culture and traditions that are passed on to the next generation. Fiestas reflect Filipino religion and faith, which are the most essential part of society. 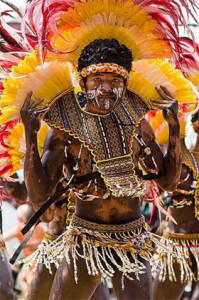 Nowadays, however, a distinguishing cultural aspect that is unique to the community is preferred as a central subject for many celebrations. Among the famous festivities in the country are the Feast of the Black Nazarene in Quiapo, where thousands of barefoot men join the procession of the Black Nazarene; the Sinulog festival in Cebu, which is celebrated with a long parade and different dances in honor of the Santo Niño; and the Dinagyang Festival in Iloilo, which is characterized by a colorful parade to honor the Holy Child Jesus and commemorate the Christianization of the natives. The Filipinos are mostly religious people, no matter what beliefs we hold and religious affiliations we have. The church and our faith have always been our pillars of strength and highly regarded by the people for support or guidance. Festivals are reminders of our past; it gives us a glimpse of our rich cultural heritage and at the same time connects us to our families and loved ones.